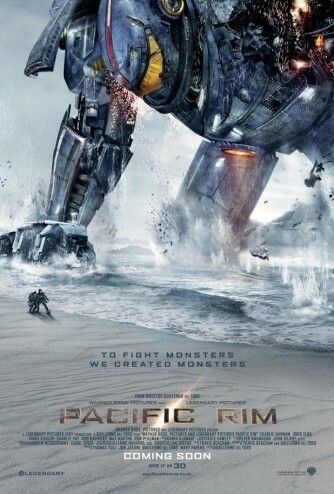 For a moment, let’s take Pacific Rim a little more seriously than we might otherwise be inclined to do. Put aside the plot holes – like Gipsy Danger being analog – and the burgeoning buddy comedy between Burn Gorman and Charlie Day. Imagine Pacific Rim as directed by Christopher Nolan or Ridley Scott. It’s a self-serious and dark movie akin to War of the Worlds, witnessing humanity is on the eve of being conquered by vastly superior alien intelligence. Okay, are we all on the same page? Good. As an XCOM / X-Com veteran, there’s a specific scene in Pacific Rim’s first act that resonates with me. After Gipsy Danger’s defeat in Alaska, the movie skips ahead to the PPDC pulling the Jaeger program’s funding. The assembled heads of state inform Marshall Pentecost that they are pouring all their remaining resources into the coastal wall program as a last line of defence against the Kaiju. This plot point does a few things in terms of setting up the rest of the narrative. 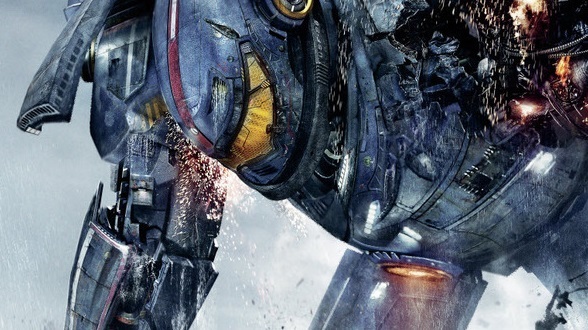 Shutting down the Jaeger program introduces third act stakes into Pacific Rim’s first act. It also taps into the audience’s potential distrust of authority figures as a means of building sympathy for Marshall Pentecost and his rangers. When a Kaiju smashes through Australia’s coastal wall, Pentecost’s role as the only person who can save humanity is all but carved into stone tablets. None of these points, I expect, offer any new insights into Pacific Rim’s story. Yet re-watching the movie, and witnessing the Jaegers get shuttered got me thinking about a potentially overlooked narrative subtext in Pacific Rim; albeit an interpretation dependent upon appreciating the work as a slightly darker piece of fiction. Suppose for a moment that the decision to abandon the Jaeger program and build a wall around the Pacific Ocean was more than a gimmick designed to reinforce the hands-on expertise of the movie’s protagonists. What if it was a way of setting a bleaker tone within a pop corn movie. Imagine if you will the coastal wall as a massive make-work project in the face of a slow-burn apocalypse. Despite early successes, we know that the Kaiju’s attacks against the PPDC nations overwhelmed their ability to resist. One would expect that the intelligence gathering mechanisms of the PPDC”s members could count the days until a Kaiju would emerge into a world bereft of Jaegers. Assuming these same governments accept that truth, what do they tell their people? Pucker up and kiss your collective asses goodbye? Of course not. Why not embark on the largest distraction/infrastructure project ever? Anybody who knows anything about military strategy knows that there’s no such thing as an impenetrable wall. Eventually, somebody will find a way to knock it down. Alternatively, the alien powers behind the Kaiju invasion would have loosed more flying Kaiju upon a walled up ocean. Likewise, I have to assume that some intelligence officer would have entertained a flying Kaiju as something of a fatal flaw in the costal wall system – we’re talking an oversight far greater than the thermal exhaust port on the Death Star. Keeping that in mind, what other reason would there be for investing in a a massive sea wall other than to give the people of the PPDC nations something to do which would maintain the illusion of a normal life amid their pending demise. Once again, I will admit this line of thought might be dependent upon reading too much into Guillermo del Toro’s movie. Yet if it is even slightly appropriate, it adds a significant layer of fatalism to the story. All the more so when we consider Raleigh Beckett’s decision to work on the wall after the death of his brother. As a former ranger, defeated at the hands of a Kaiju, he has firsthand knowledge of a Kaiju’s capacity for destruction. His decision to work the wall becomes the hero surrendering to the inevitable. Approached this way, Raleigh’s return to active duty is not a heroic arc, but a Kamakaze run from a man who, like the governments of the world, has given up hoping that humanity can defeat the Kaiju. As an added bonus, looking at Pacific Rim in this way lends more credence to the idea that Mako Mori is the story’s lone protagonist. Raleigh needs to be prodded back into action by Marshall Pentecost. While he builds the wall, she rebuilds Gipsy Danger and trains to become its pilot, all this in the wake of the Jaeger program’s shutdown. Perhaps it’s not too much of a stretch to look at the wall as the ultimate symbol of humanity’s surrender to the Kaiju.